JITTERY authorities are bracing for another mega protest by angry labour unions and the opposition — who fear that authorities are planning to tighten the country's repressive laws to stop a repeat of last month's violent mass actions which left at least 12 people dead and hundreds others seriously wounded. 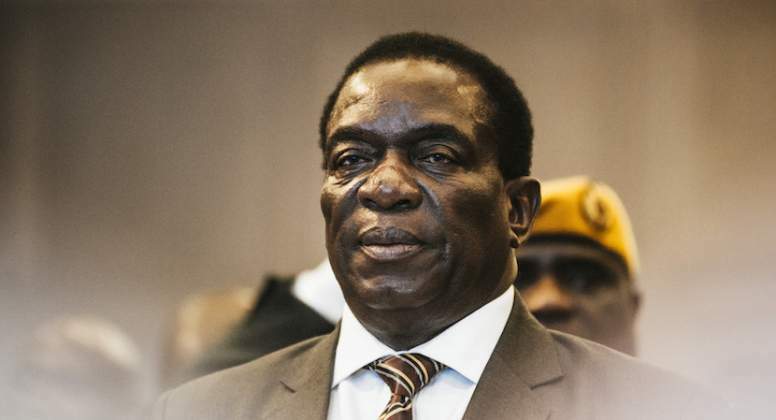 This comes as President Emmerson Mnangagwa has given the green light to the National Peace and Reconciliation Commission (NPRC) to spearhead talks aimed at resolving the country's deepening political and economic crises. The NPRC has already invited the opposition, Zanu-PF, the church and other key stakeholders to submit their proposals which will guide the much-awaited national dialogue. But despite the withering local and international criticism that has been directed at the government regarding the ongoing crackdown against dissenting voices by the country's military, authorities have remained defiant —and are girding themselves for an even bigger confrontation with their critics, documents in the possession of the Daily News show. "Police deployments remain on the ground in order to reassure the citizens of their security. This is particularly so, given the fact that the MDC and other local merchants of regime change are planning to carry out further protests under the so-called National Shutdown II. "It is pertinent to note that efforts are underway to align Posa with the 2013 Constitution. In addition, government is also alive to the constitutional rights of the citizenry, including the right to protest, as enshrined under section 59 of the Constitution. "The above notwithstanding, the rights can be constitutionally derogated from a citizen on the basis of Article 86 of the Constitution which provides for limitations on rights and freedom for the public good," the government says in the documents. Property worth millions of dollars was also destroyed and looted in the mayhem which ensued, after thousands of workers heeded the ZCTU's three-day stay-away call. The under-pressure 76-year-old Zanu-PF leader made the announcement soon after he returned to the country, after cancelling his scheduled trip to Switzerland where he was due to attend this year's meeting of the World Economic Forum (Wef). "What followed was regrettable and tragic. Everyone has the right to protest, but this was not a peaceful protest. "Wanton violence and cynical destruction; looting police stations, stealing guns and uniforms; incitement and threats of violence. This is not the Zimbabwean way," Mnangagwa said on social media. "What unites us is stronger than what could ever divide us. Let's begin a national dialogue. Let's put the economy first. Let's put the people first," Mnangagwa added. In the government brief which is in the possession of the Daily News, authorities say while they regret the loss of life last month, the intervention of the security forces had been necessary to deal "decisively with the extreme provocation" by protesters. "The security forces' response was proportional to the threat posed. Unfortunately, some lives were lost, including that of a police officer, who was stoned to death. "The provocation was extreme, and the officers had a constitutional duty to prevent further loss of lives, including their own. However, some misguided elements within the system and security forces committed excesses and the law is taking its course. "Although the protests were ostensibly in response to the increase in the price of fuel and the general socio-economic challenges besetting the country, the so-called ‘National Shutdown' was, in essence, an attempt by hostile elements to subvert the State by rendering the country ungovernable. "The timing of the ‘National Shutdown' is instructive. The MDC deliberately chose to launch its violent protests at a time ... Mnangagwa was undertaking his re-engagement initiative to Euroasia and the World Economic Forum Davos, Switzerland. "The violent protests were also aimed at coercing Zanu-PF and government to accommodate the political opposition, particularly the MDC Alliance, through the consummation of a Government of National Unity. "As the protests became violent, government activated all State security apparatus in order to restore law and order, protect life and property. Swift response by the security forces resulted in the arrest of hundreds of protesters and their ring leaders," the authorities said further in their paper. Mnangagwa, who was feted like a king when he replaced deposed autocratic ruler Robert Mugabe in November 2017, initially lifted the mood of crisis-weary Zimbabweans who were hopeful at the time that he would turn around the country's economic fortunes. However, the post-July 30 election shootings — which left at least six civilians dead when the military used live ammunition to quell an ugly demonstration in Harare's central business district (CBD) on August 1 — and the latest round of deaths, as well as the vicious clampdown of dissenting voices — are seen as having dented his image significantly, in addition to harming his chances of getting financial support from Western countries. Meanwhile, and following criticism of his government's handling of the recent protests, Mnangagwa has put in motion plans to have national dialogue in a bid to end the country's myriad problems. Last week, the NPRC held meetings with stakeholders as part of the process to begin national talks.